Based in Los Angeles, Claire McAdams has been writing professionally since 2006. Her work has appeared in "The Tennessean" and also online at MaestroCompany.com and SoCal.com. She holds a Bachelor of Music Degree from Belmont University and a Bachelor of Arts Degree in History and Political Science from King College. Music of all varieties has been shown to generate health benefits for the mind and body. Listening to music can lower blood pressure, induce relaxation, reduce anxiety and even increase your libido. 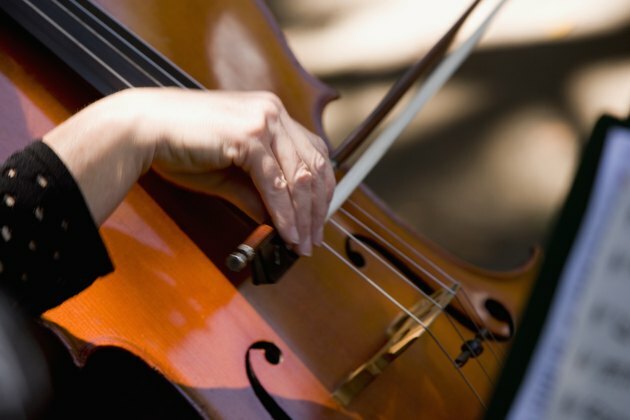 Some have asserted that music, particularly classical music, can boost cognitive function. Does classical music generate brain responses that other forms of music do not? On this subject, expert opinion is mixed. In 1993, Dr. Gordon Shaw of the University of California-Irvine found a temporary spike in IQ in college students after they listened to Mozart. Control groups who listened to other types of music or nothing at all experienced no change. What followed was a string of headlines claiming "Mozart's Music Makes You Smarter," and a mass of "Baby Mozart" CDs hitting the market. All of which, Shaw says, oversimplifies his findings. "It is not that the Mozart will make you permanently smarter," he says. But he speculates that listening to Mozart might be useful to warm up the part of the brain involved in abstract thought. Among the Mozart Effect's many critics is music scientist Dr. Daniel Levitin who points to people with Williams syndrome as evidence that classical music and high intelligence are not intrinsically linked. People with Williams characteristically have quite low intelligence but are frequently musically gifted. For example, one Williams syndrome patient Levitin studied could not figure out how to open his clarinet case, but if someone put the assembled clarinet in his hands, he could play remarkably well. Duke University's Dr. Kevin Labar says that classical music can improve your intellectual performance, but not by raising your IQ. Classical music can produce a calming effect by releasing pleasure-inducing dopamine and inhibiting the release of stress hormones, all of which generates a pleasant mood. "And inducing a pleasant mood," says Labar, "seems to clarify thinking." Classical music, however, is not the only way to enhance relaxation, as other calming activities produce a similar result. It also depends on personal taste: If you don't find classical music relaxing, you won't experience these effects. Dr. Claudius Conrad frequently listens to Mozart in the operating room, but the surgeon says the music offers significant benefits to his patients as well. He conducted a study in 2007 in which he treated postoperative patients to Mozart sonatas. The patients responded with a reduced need for pain medication, lower blood pressure and lower levels of stress hormones, all of which are music therapy benefits that were demonstrated in other studies. But Conrad also found that the patients' brains released 50 percent more pituitary growth hormone, which reduces inflammation and promotes healing. His study was published in the December 2007 issue of "Critical Care Medicine." In 2004, various British railway stations began piping in recordings of Mozart, Bach and Handel, which resulted in a one-third drop in the number of robberies and other crimes. Psychologists speculate that the relaxing melodies had a tranquilizing and disorienting effect on potential criminals. Train managers in northeast England reported a decrease in minor public nuisances such as spitting and smoking, and travelers said they experienced an increased sense of safety in the musically fortified zones.